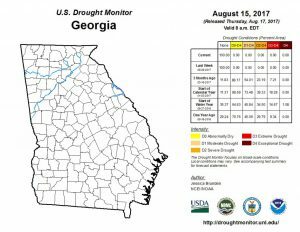 This summer has had ample rain to keep the soil moisture up, the waterbodies full or close and as the Drought Monitor indicates, no drought across Georgia for almost a month. 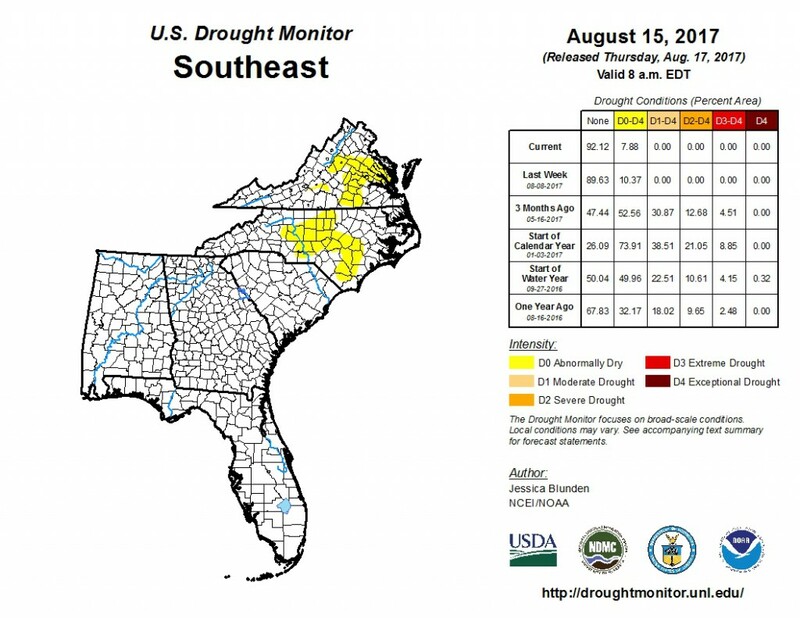 For the contiguous 48 states, the U.S. Drought Monitor showed 11.31 percent of the area in moderate drought or worse, compared with 11.24 percent a week earlier. Drought now affects 17,830,293 people, compared with 18,140,966 a week earlier. 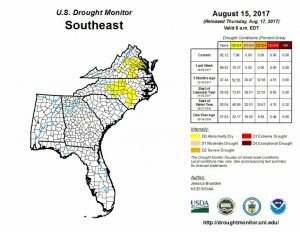 For all 50 U.S. states and Puerto Rico, the U.S. Drought Monitor showed 9.58 percent of the area in moderate drought or worse, compared with 9.63 percent a week earlier. 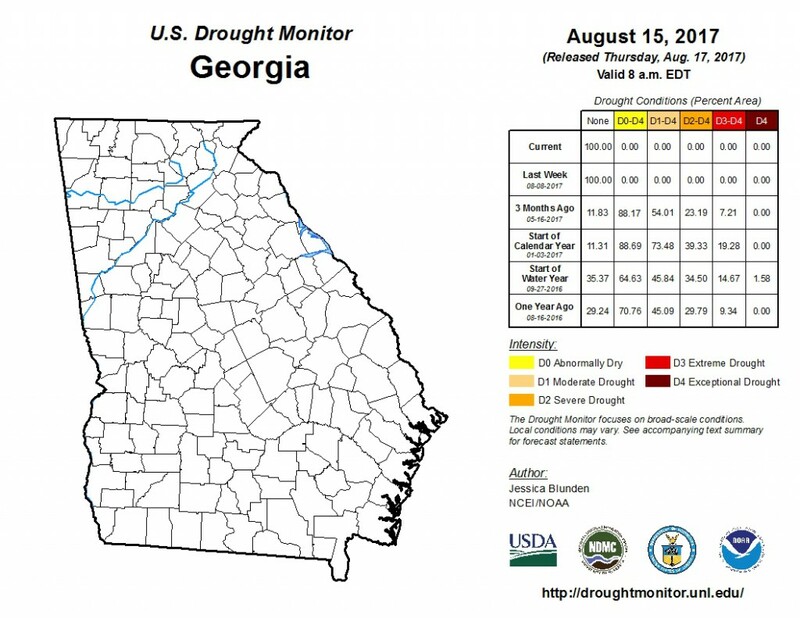 Drought now affects 18,435,995 people, compared with 18,587,593 a week earlier.